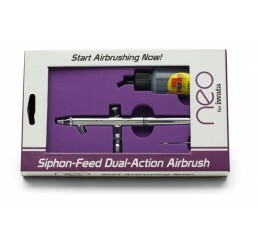 Start airbrushing now with the NEO Series for Iwata. It’s easier than ever to start with an economical and reliable airbrush backed by the most trusted name in the industry. These versatile, value-priced airbrushes can be used with a variety of different paints and mediums. Plus, the NEO Series proves easy to use and clean. The NEO Series for Iwata was designed to perform well at lower pressures when used with smaller air compressors. 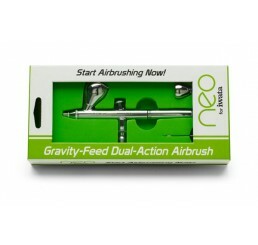 Iwata backs the NEO Series airbrushes with an unprecedented five-year warranty. Choose the NEO Series for Iwata and start airbrushing now.